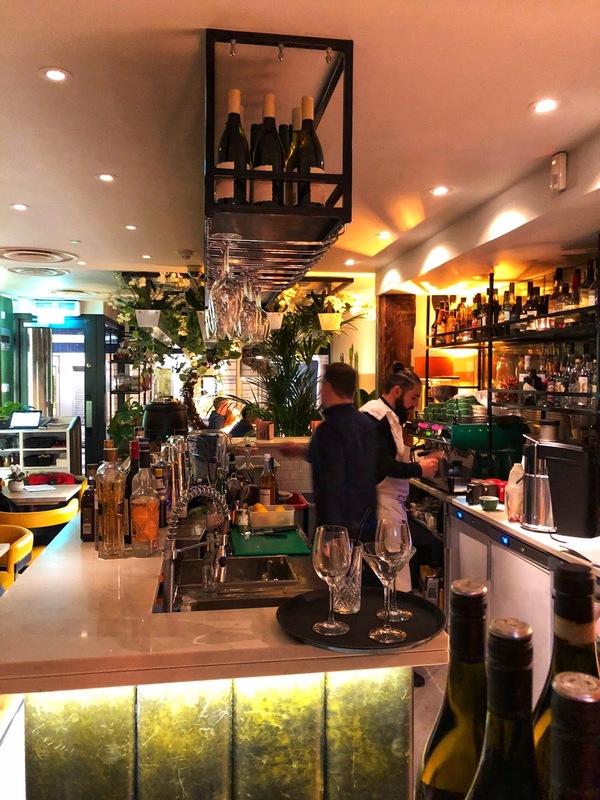 The food is Australian, the menu is delightful and diverse, there's duck broth, barramundi, robata grilled lobster or porterhouse steak, vegetarian choices of spiced cauliflower steak and aubergine ravioli. The cocktails are excellent, some are in good Aussie humour - the 'Dingo took my baby' comes with a jelly baby sweet over a whisky and ginger tipple. I enjoyed a hibiscus margarita. Blended perfectly (not too sweet, not too much cointreau) and the ratios were spot on. In addition, there is a surprisingly pleasant, edible flower to finish... I always feel botanical items are best left in the garden but admittedly I was wrong on this one. For food I have the scallops with Jerusalem artichoke puree and follow it with a beef cheek risotto. 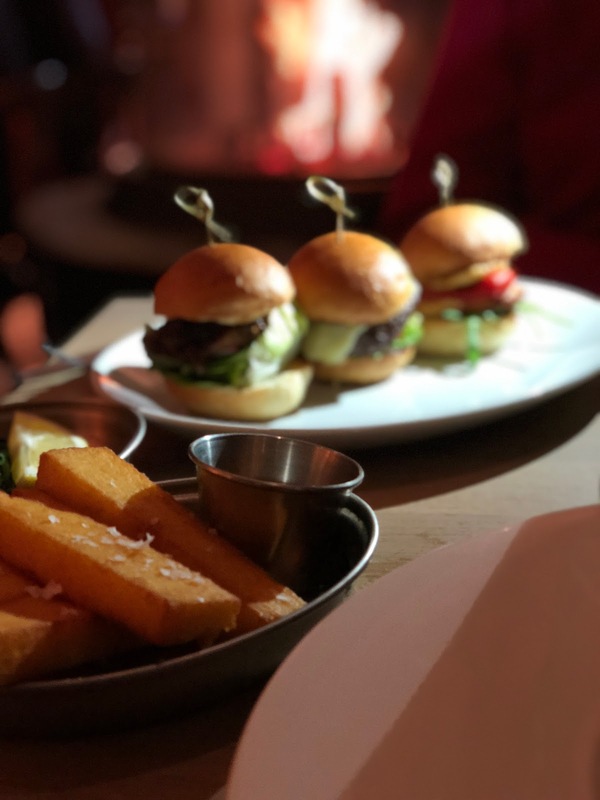 My partner orders something of a body builders 'cheat day' with deep fried buttermilk chicken, sriracha mayo and a round of sliders with thick polenta chips. The scallops I can't fault, there's nothing to suggest they're anything but perfectly cooked. Creamy earthy puree, salty crispy bacon and sweetness of scallop with hit of lemon to brighten the finish. I mean, this is what is meant by a well balanced plate of food. 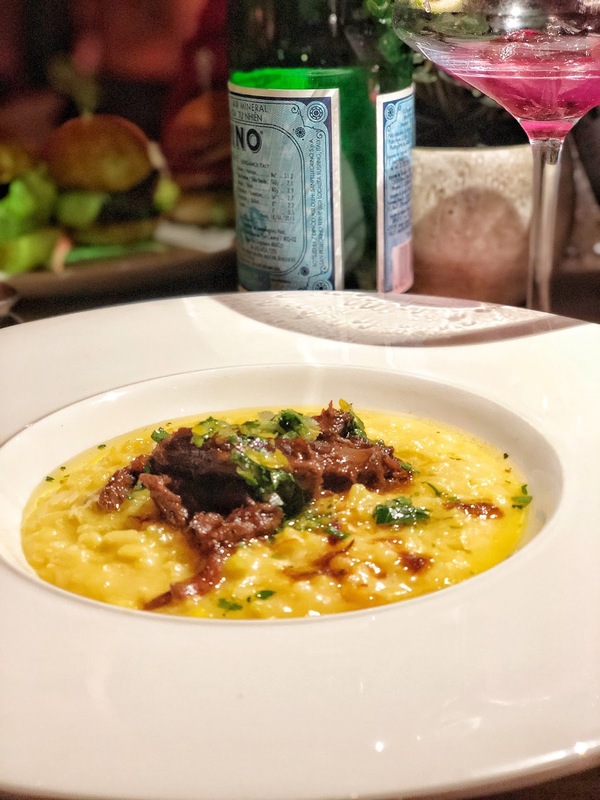 The risotto is equally pleasing, the beef cheek is one of the best I've had to date. Its obviously been very slowly cooked because not only is it soft, there isn't a hint of dryness, the meat is glutenous and not stringy, exactly what is expected out of a perfectly cooked beef cheek. I thought the portion of chicken was juicy and generous for a starter, the sliders were decadent and spoiling. I was also impressed the polenta chips retained their unique corn flavour. I was happy with the wine selections, I tried a lovely riesling but my favourite was the margarita (but tequila is my vice). I am happy to see so many vibrant restaurants coming to Richmond, while there are many fantastic independent restaurants serving lovely food in the town, some are over priced, uninspired with tired decor. 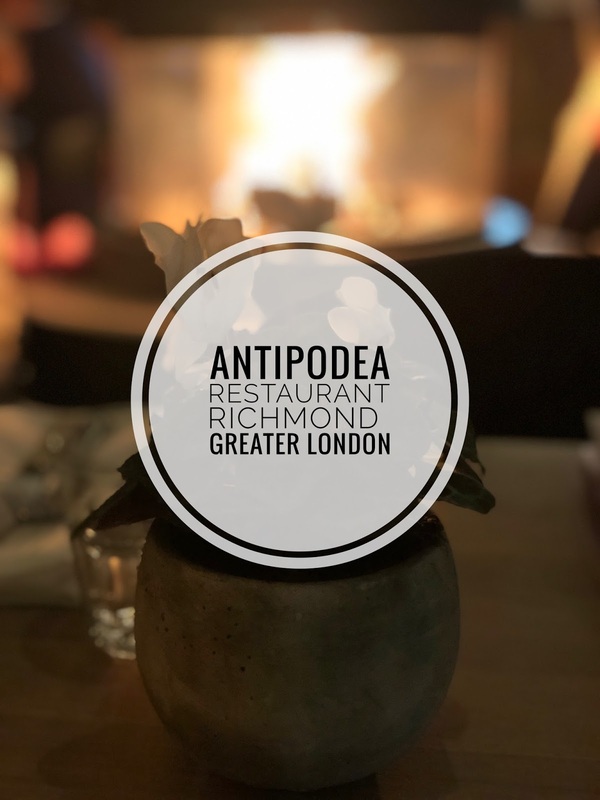 For those who like and appreciate the new, its great to have places like Antipodea re-invigorating this beautiful part of Greater London.